Meeting you where it matters. Over 40 years ago my father-in-law, Henry Sieders, began a tradition of personalized funeral care with sensitivity to the Reformed faith and heritage. Over the years many families have expressed their appreciation for a familiar face in the presence of loss, and a sense of ease knowing that someone not only understood their needs, but was also committed to meeting them. 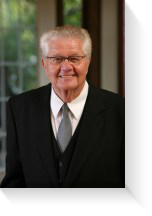 The link of faith with professional funeral care has forged this trusted bond over the years. Today, we are proud to continue in this tradition as we widen our service area. With the increased use of local church facilities for both visiting hours and Funeral Services, we are able to bring our professional assistance right to you. We can meet with you or your family in the comfort of your own home to complete funeral arrangements or to plan ahead. We will bring our staff, equipment and supplies to the church building of your choice to make things as easy as possible for you to spend valued time with family and friends confronting your loss and comforting each other. And, of course, we will do this at no additional cost. 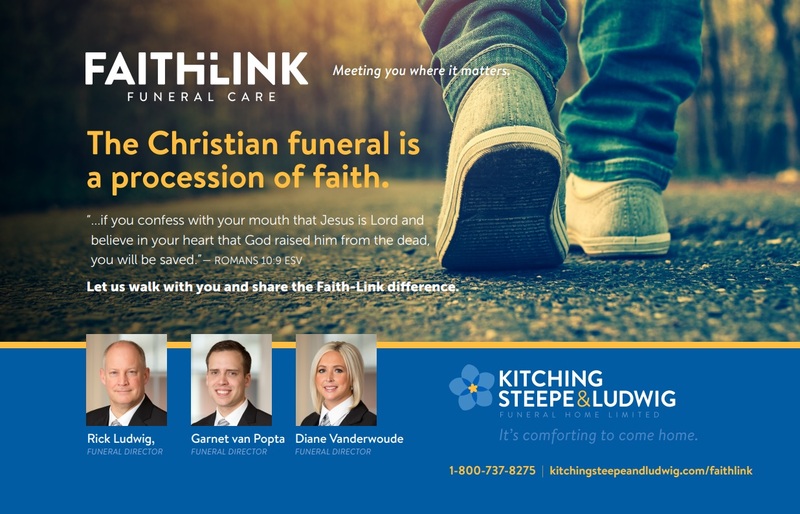 Our Faith-Link Funeral Care extends to a shared commitment with you to donate to kingdom causes and advance the gospel by supporting recognized church, Christian school and mission activities within the Reformed faith community. We don’t only share your faith…we share your perspective.